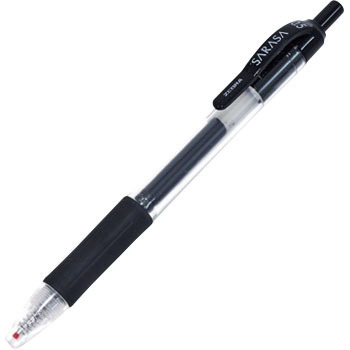 Customer Reviews of Gel Ink Pen 0.5mm, "SARASA"
The color was good and dark letters could be written. Thank you for the popular item. This review is about item#647376. It's so smooth and easy to use that I always use it with red. This is better than any ballpoint pen! I have been using it for about 15 years, but I felt improved and easier to write. This review is about item#00647376. Because it is very easy to write, it is useful. Just right. It is falling in love to the extent that it can not be used other than this product. I do not know how many hundreds have been used so far. Such goods, at inexpensive, yet at home delivery. That's why I ordered other items together. Light and easy to write, affordable. I love it and I love it. It's very smooth to use, and you can not be satisfied with other ballpoint pens after using it. This review is about item#647437. Even if it hits the sun, it does not disappear even if it gets wet in the rain, so it is handy. It was very light and very good. It was quite cheap. I also want to buy next time. I used it to write slips but I did not think the ball slipped and was not very easy to use. This part does not mean that the goods themselves are bad as this also depends on the people using it. As usual, ordinary ballpoint pens are easier to use. I bought it because it is cheaper than the wholesaler I usually use. I will buy it again when it runs out. It is also used in the field other than clerical work. I have been using it for years, but I like the ease of writing. As the name of "Salasa" I like it very much and I like it. Like a scotch tape, I got disciplined by a 100-tameless tampon ballpoint pen so purchase this time! It is hit. Everyone is a familiar product you know, but this price was affordable. It is easy to write. Do not say it if you lasted a little longer. The report etc. The ink is smooth and it is very easy to draw. The ink is smooth and very easy to draw. Among ballpoint pens, it is the best favorite. I feel that the balance is good without choosing the application. There is also a replacement core, it is convenient.